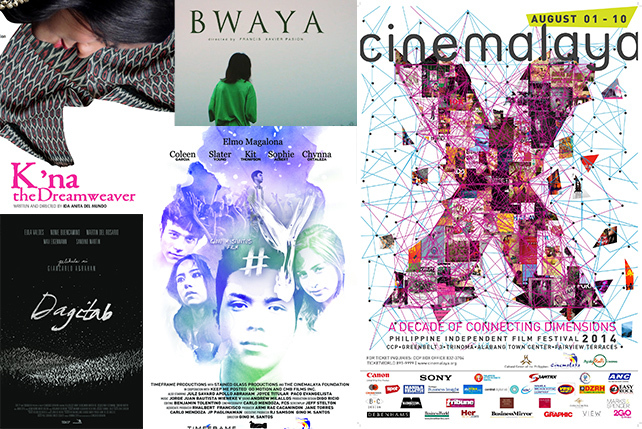 (SPOT.ph) We can say that there are 10 reasons to get excited about Cinemalaya. They’re remodelling two sections of CCP and turning the area into a Cine-Café, where you can sit in a beanbag and drink coffee while watching the films...but even without the beanbag or the shot of caffeine, the 10 full-length features in the New Breed category are more than enough to make us feel like life is worth living. Great art has that effect on people. It’s a landmark year, so expect only the best. Here’s your guide to the 10 New Breed Full Length Features in Cimelaya X.
Briefer: From The Animals to...well, more animals. Santos’ third full-length feature for Cinemalaya smells like #MillenialProblems or The Bling Ring meets Spring Break, but something tells us there’s more to this movie than partying and glow-in-the-dark details. Briefer: In the film, Nova Villa fills the shoes of a 65-year-old woman who has been given a chance to go on a first date with her long-lost first love. Old people in kilig situations (like in Letters to Juliet) are the best. Briefer: In the Philippines, the crocodile has a terrible reputation. Pasion plays with this symbolism as he narrates the disappearance of Rowena, a 12-year-old Manobo girl. Rowena’s mother, Divina (played by Angeli Bayani), searches for her in the marshlands of Augusan...but finds something else. Dun, dun. Briefer: Why does society keep robbing children of childhood? That’s just not right, right? In Children’s Show, we become privy to the lives of 10- to 15-year-old kids who are thrust into the world of underground wrestling. Fresh from the success of Transit, Abrahan tries his hand at directing this time around. In Dagitab, two professors, married to each other, are on the brink of separation. The woman (Eula Valdez) becomes entangled in a scandal with a younger student...and the man (Nonie Buencamino) falls in love with a ghost. 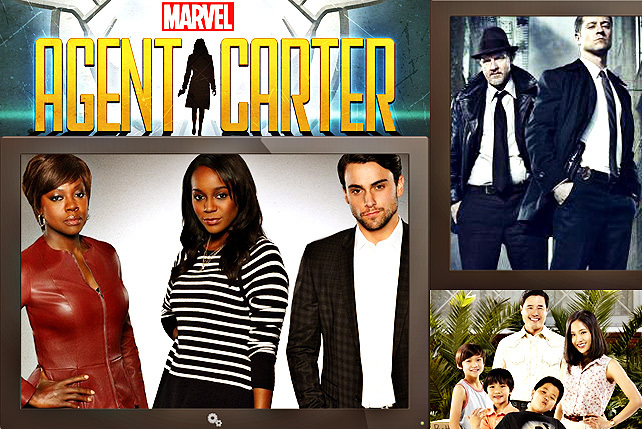 We repeat: the man falls in love with a ghost. Shot in South Cotabato, Ida Anita Del Mundo shares the culture of the T’boli tribe with the audience. T’boli women are famous weavers, primarily because to weave, they need to dream. Patterns come to them at night and they work in the day to capture what they saw on fabric. 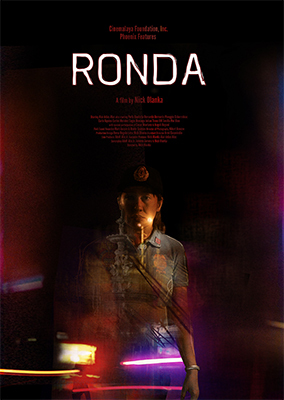 In her film, Del Mundo takes the point of view of K’na (Mara Lopez Yokohama), who has worked all her life to become a weaver...but must come to terms with some harsh realities. When you’re named after a famous collector of shoes and you live in Marikina, you’re bound to feel some resentment. 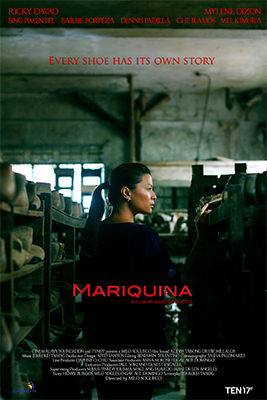 Imelda (Mylene Dizon) is indifferent towards footwear, despite the fact that her father has been making pairs for her since childhood. After he passes away, she is confronted with a problem: the perfect shoes for her dead father. There’s a policewoman. There’s a teenager who just killed his lover. The teenager is the policewoman’s son. She arrests him. We’re curious how this ends. We have a feeling, despite being headlined by Ai-Ai delas Alas, that it will not end with laughter. Failures in monogamy? This film can only be told from the point of view of men...and enchantingly, it is. Six men who are, as the title hints, separated from their wives are brought together by fate at a wedding. Can "true love" work for at least one of them? Here we go again with children and non-existent childhood. Four friends growing up during the Japanese occupation fill their days dreaming of being soldiers...until reality catches up with them. War is not fun for anybody.